When will the Apple iPhone arrive at T-Mobile? Tuesday was quite a day for T-Mobile customers, especially those who have been with the nation's fourth largest carrier for some time. Not only did CTO Neville Ray say that Las Vegas could be 2 to 3 weeks away from being the first city to receive an LTE signal from the carrier, CEO Johgn Legere now says that the mobile operator is closer to 3 to 4 months away from selling a branded version of the Apple iPhone, than 6 to 9 months away. 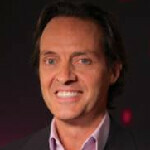 T-Mobile customers have been slighted by Apple, but that will change in 2013. Legere said that offering the Apple iPhone and the removal of subsidies on new phones could add 5% to the company's market share. "If the old industry structure chooses to ignore what we do," he said, "That's a potential." And besides its pending merger with MetroPCS, which could close next quarter, Legere sees further deals as a possibility. Two companies he mentioned as possible partners were Dish Network and Leap Wireless. The executive said that Leap is "one of those things that makes extreme sense for us to look at." Meanwhile, Dish Chairman Charles Ergen said he could be months away from deciding whether to go solo as a wireless carrier, or to go with a partner. Later Tuesday, the company announced an "indication of interest" to buy wireless network provider Clearwire for $3.30 a share, topping the $2.97 offered by Sprint. 2milllion already don't think so. It's good for T-Mobile customers to have that choice now, but I'll keep my old Samsung. It's paid for and works. Smart move for tmobile customer base. More choice is good. Exactly. 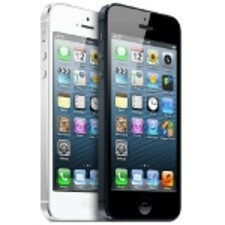 Them now offering the iPhone with LTE and lowest prices, 2013 is going to be a good year for T-Mobile.